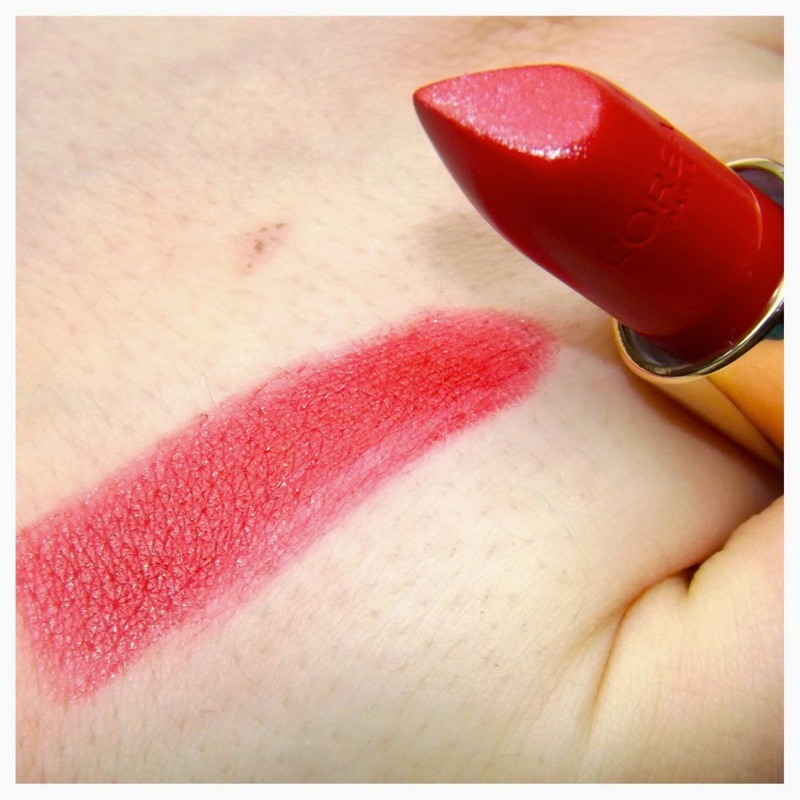 I’ve been looking for the most PERFECT Red Lipstick (if you haven’t noticed)... 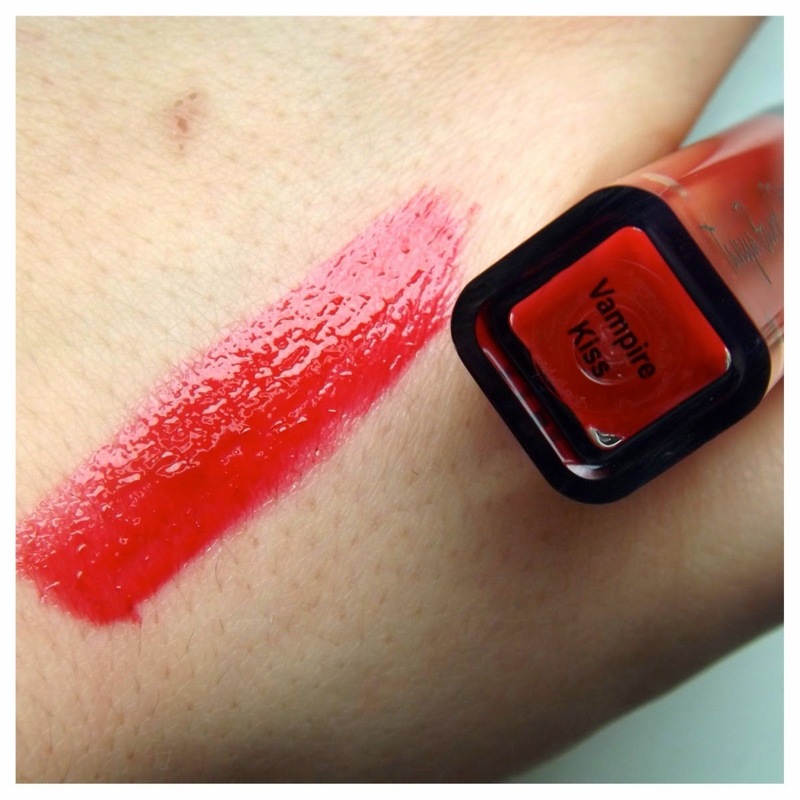 So, every chance I get, I hunt down another Red lippy and i’ve got 3 in the last 2 weeks, oops! I haven’t got a favourite at the moment but there will be reviews coming of all of my Reds soon! When I first purchased the Garnier Micellar water, I was a little apprehensive as i’d tried the Loreal 3 in 1 beforehand but I didn’t like it. It didn’t remove my makeup well enough and it left my skin feeling really dry so when I went to get my regular Garnier Simple Makeup remover, it wasn’t there and I came across this instead. I’m currently loving it and it removes my eye makeup with just one cotton pad (per eye) - that’s pretty impressive!! You can buy the Micellar Water from Boots here and it’s currently on offer at £3.33. 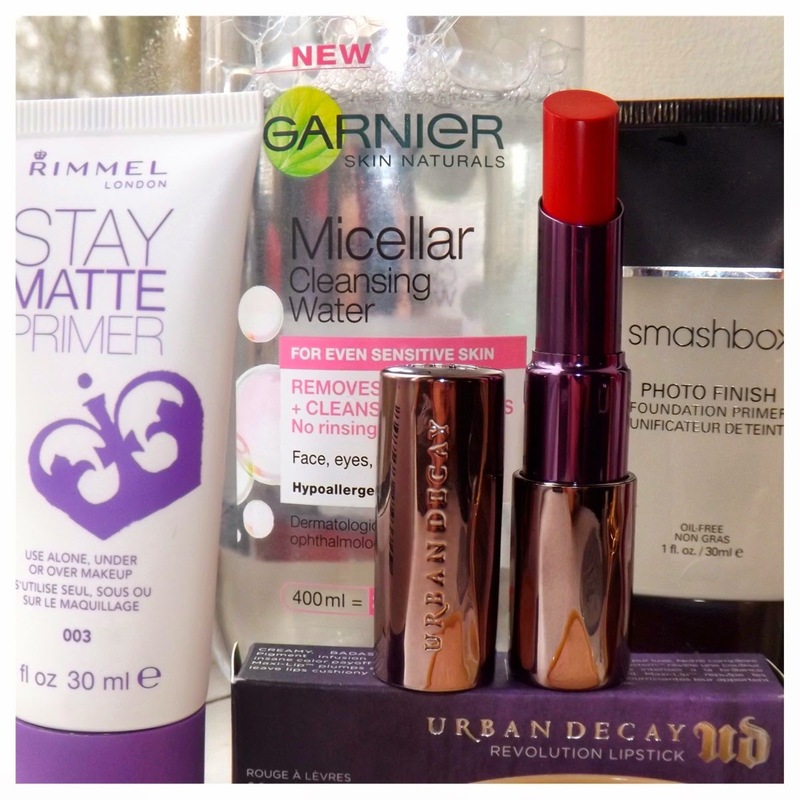 The Rimmel Stay Matte Primer, Stay Matte Powder, Urban Decay Lipstick in F-Bomb, Tanya Burr Lipgloss in Vampire Kiss, Vichy Dermablend Cover up Stick and the Perfume samples from Feel Unique as I had won a £25.00 gift code. I’ve been on the hunt for a good primer for ages as my skin is so oily at the moment so i’m hoping for good things to come out of the Stay Matte primer. 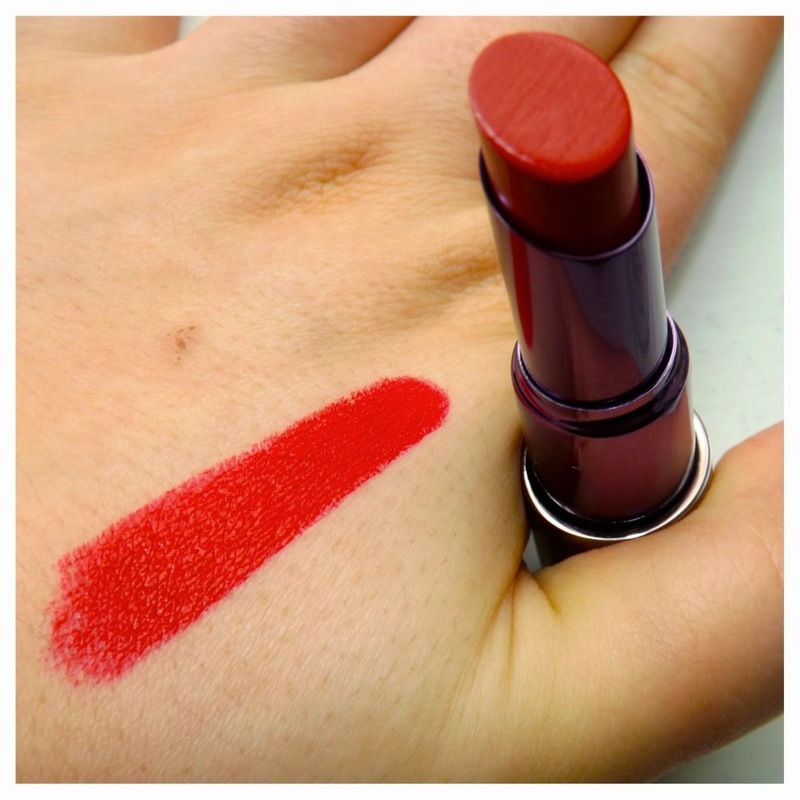 The Urban Decay Lipstick was a bit of a treat as I get 10% off Urban Decay on Feel Unique as my product of choice (you can do this too just sign up to Feel Unique and choose your brand to receive 10% off - this week you currently get 15% off!) so getting it for £13.50 was a complete steal! 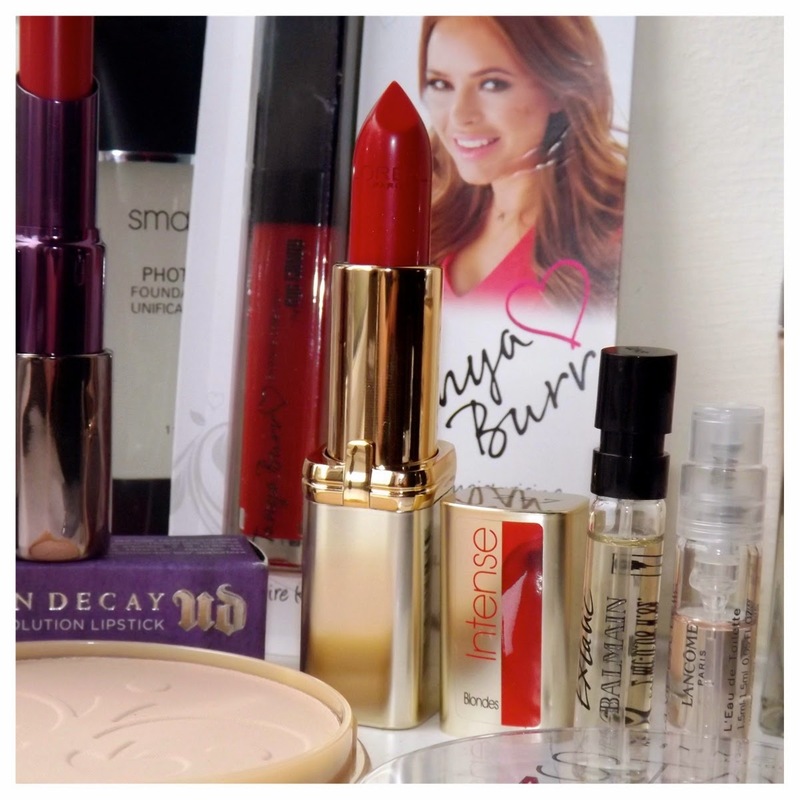 The Tanya Burr gloss is just another to add to my ever-growing collection and you can see my previous reviews here. The Dermanblend cover up stick is going to be a holy grail for me when i’m working my 3:30am start shifts - covering up those dark circles just had to be taken into someone else’s hands! You can buy all of the discussed from Feel Unique here (Don’t forget to use NOTURAVG for 10% off). 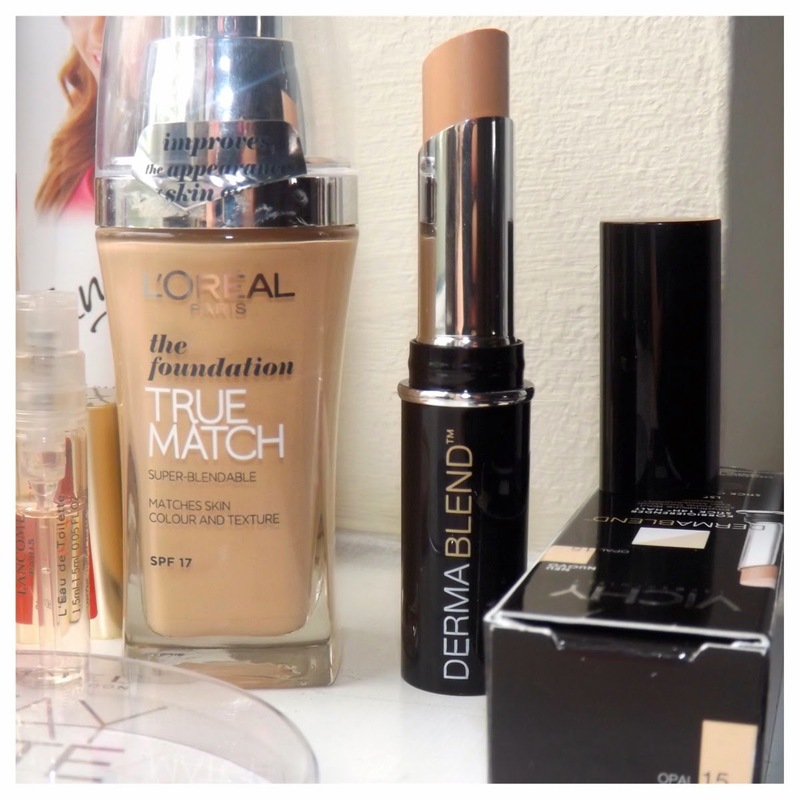 The Loreal True Match foundation is another product that i’ve heard good things about and i’ve used it a few times and i’m enjoying it so far! It doesn’t blow my socks off though like my No7 Beautifully Matte Foundation does! You can get the Loreal True Match Foundation from Boots here for £9.99. I’ll be filling you in in the weeks to come how i’m getting on with the lipsticks and primers so stay tuned! What have you been buying recently?! Is there anything I need as a must have in my make up bag!? Moving onto external competition, let's start with another watch that will catch people's attention and has a simple, clean dial that is only made busy by a date window. I'm talking, of course, about the rolex replica Datejust II (reviewed here). At 41mm wide, it's certainly a bit smaller than the Hublot Classic Fusion Titanium (as Rolex watches tend to run much smaller than hublot replica uk in general), but omega replica uk it carries the "gravitas" and omega replica sale tradition that is unique to Rolex. Also, you get the in-house 3136 calibre rolex replica sale movement. It's not the most exciting option out there, but the swiss replica watches offers a lot of the same visual cues.